It’s always a pleasure to be able to work with organisations that take as much pride in their work as we do here at Acorn Environmental and the L&Q Group definitely share our commitment to quality service. The L&Q Group is one of the country’s most successful charitable housing associations with over 95,000 homes in London and the South East, which together house over 250,000 people. We’ve been working with L&Q for quite a few years, managing bulk refuse removal for them throughout London and the surrounding area. Since his arrival in the role, Caretaking Supervisor Anthony Famosaya has been our first port of call in the organisation, so we asked him how he thought our relationship had developed over the years and why it continues to go from strength to strength. Acorn certainly believes in going the extra mile for customers so it’s great to know that Anthony feels he can count on us in a pinch. 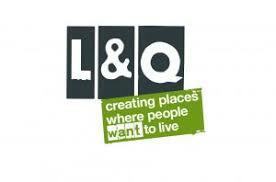 We’d like to thank the L&Q Group for working with us and for helping us build such a successful relationship. We hope to be with you for a long time!